"They are engaging in a behavior that can result in something more than a bad hangover," said lead researcher Mariann Piano. Sh's a professor with the Vanderbilt University School of Nursing in Nashville, Tenn. Binge drinking was defined as five drinks or more in a row for men on a given occasion, and four or more drinks for women, Piano said. People are frequent binge drinkers when this occurs more than 12 times a year. Piano's team focused on younger adults. "The pervasiveness, the intensity and the regularity of binge drinking of today's youth is just higher compared to previous generations," Piano said. The new study analyzed data on more than 4,700 adults aged 18 to 45 from the U.S. National Health and Nutrition Examination Survey. 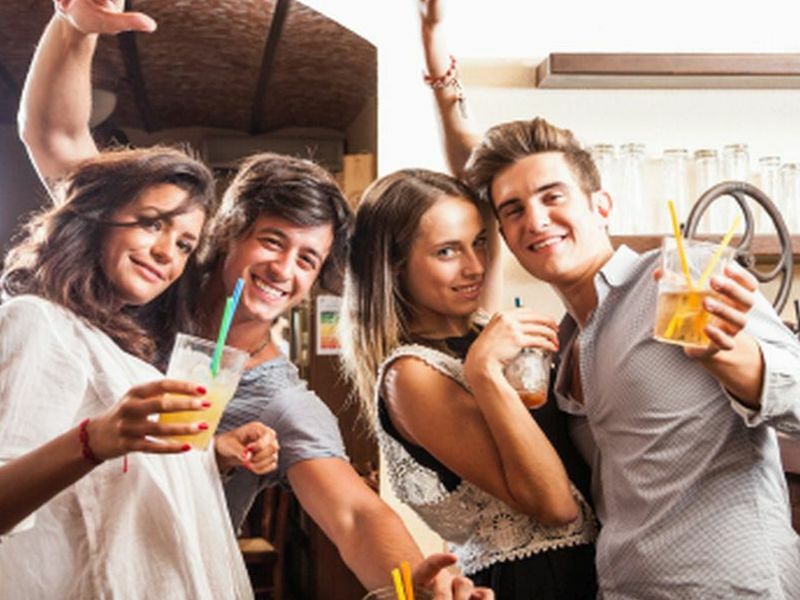 One in four men and one in 10 women reported frequent binge drinking, the researchers found. Occasional binge drinking occurred in 29 percent of men and 25 percent of women. The study couldn't prove cause and effect, but young men who frequently binged on drinking had higher systolic blood pressure -- the pressure inside blood vessels during a heartbeat. Male binge drinkers also had higher cholesterol levels. Young women who binge drank tended to have higher levels of blood glucose, increasing their diabetes risk, Piano said. These results show that young binge drinkers could be setting themselves up for future heart trouble, said Dr. Richard Becker, director of the University of Cincinnati's Heart, Lung and Vascular Institute. "Hypertension and high cholesterol are powerful risk factors for cardiovascular events, including heart attacks, strokes, kidney failure and death," Becker said. "They represent global health problems of unparalleled proportion that not only continues to increase, but are being detected at younger ages." Piano noted that it's not that binge drinkers might also be junk food-addicted couch potatoes. The negative effects of binge drinking persisted even after researchers took diet and physical activity into account. "Controlling for those variables, we still found that men had higher systolic blood pressures, for example," Piano said. Young adults should consider dialing back on the hard drinking to protect their heart health, she concluded. "It's really important that young adults understand that what they do in their youth can affect their health later in life," Piano said.